This is another one of those "D'oh!" moments. 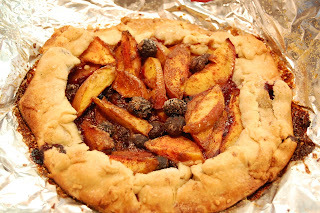 Anyway, since I spaced it on the recipe, I thought I'd include links to some of the great galette recipes I've seen online lately (and to some *much* better gallate photos!) Some are sweet. Some are savoury. Galattes are a really great way to make some humble ingredients into something special.